Poplular On Air Personality Ngoh Dalida has called out gospel singer Maybelle Boma in a strong post on Facebook for being insensitive. 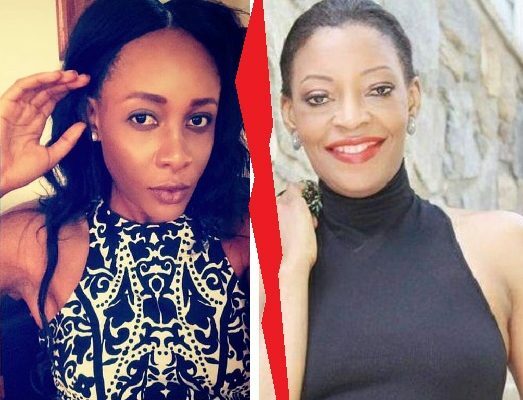 The Canal 2 English TV host may have withheld calling names in her post on January 24 but there is no doubt that her post is been directed at popular gospel artist and blogger, Maybelle Boma whom over the weekend, dropped a post on her Facebook slamming some Cameroonian artists for not respecting those who have lost lives during the ongoing crisis in the Southern Cameroon’s fight for freedom. If you are lost, let’s replay. Maybelle had slammed some six artists for promoting their pre-Youth Day concert online (to be held on February 4) at a time when “youths” are been unjustly murdered by the military in the North West and South West Regions. According to her, these entertainers could have withheld all/any social activities online to show concern over lives lost during the crisis. Well, Ngoh may not have been referring to Maybelle Boma in her post but giving the fact that Boma is a gospel artist who sings about God’s grace and love, we’re not too sure it wasn’t her Dalida was referring to. Organizers of the concert are yet to issue a statement if the concert will still hold.